This is another rather disappointing story in the series as once again the mystery theme dominates the book and it's quite obvious who the main villain is almost from the beginning. 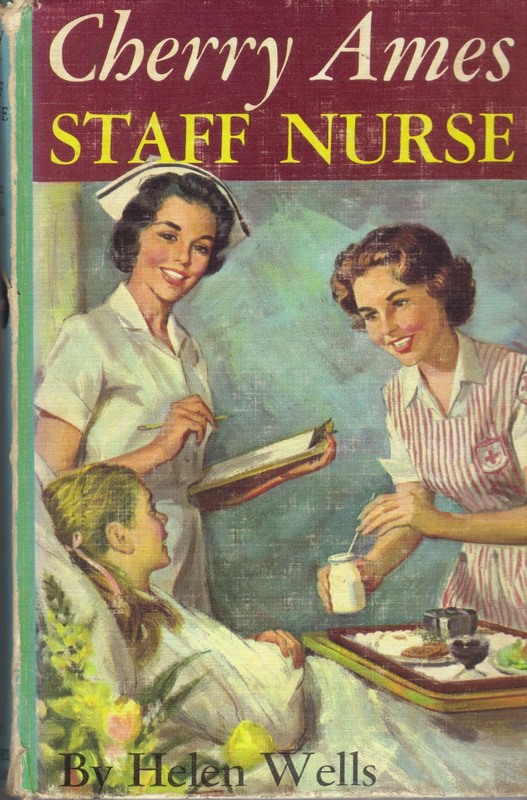 There is a section about teenage volunteers working at the hospital which is good but the rest involves a woman with severe arthritis being fleeced by a crooked investor. The Cherry Ames-oriented nature of the earlier volumes seems to become almost a Nancy Drew-type of story in the later volumes with many of the mysteries being rather obvious as to the nature of the villain.